Metaphysical and healing Meanings for Crystal and Stones, as tools for healing and changing consciousness, can be traced back to ancient times. Ancient knowledge of the metaphysical and healing uses for crystals has never been entirely lost at any time in history and today there is a renewed awareness of crystals and stones as important spiritual and transformative tools for consciousness around the world as people continue to become more awake and aware. Even if people are not aware of the healing properties of different crystals stones they are often still attracted unconsciously to wearing specific crystals or stones in jewelry that supports their conscious vibrational pattern and needs. The Greeks referred to quartz crystal as krustallos derived from the ancient Greek kruos, meaning ‘icy cold’ from which the word ‘crystal’ is derived today. Some Greek and Roman philosophers believed quartz crystals were a form of supercooled frozen water, frozen so hard that they would never thaw. The ancient concept of quartz crystals as supercooled water as an analogy for crystal formations is, at the molecular level, not far removed. A crystal, be it ice or rock, is comprised of molecules locked together in a signature system of fixed order and pattern and from this the crystalline structure creates unique patterns of energy moving through its particular molecular matrix. In metaphysical terms, a crystal can be viewed as a dense and slower vibrational form of ordered matter in a particular pattern of form with particular and inherent characteristics locked with in the pattern. In simplest terms, a transitional pathway would be energy to atoms, then to molecules, and in the case of water, coalescing to water vapor, then losing the energy of heat and motion to revert to liquid water and slowing further to finally a solid crystal. In the right conditions, this crystal formation creates a snowflake pattern. In geological terms, the right conditions are also needed for the formation and growth of stones and crystals. Light is an energy source in the cosmos – that which we can see with our naked eye also and those parts of the spectrum which is invisible to us. Light is expressed as both particles and waves interchanging at the quantum level throughout the universe and light has a fundamental effect on all other energy systems in the universe. Light energy is transmitted and transformed through various crystal structures. Energy that is of an even higher order such as thought and energy expressed as active consciousness – the will to have an intent and make a choice – can also be transmitted and transformed through a crystalline structure. Gemstones and crystals have a locked in or ‘programmed’ form of vibration or energy pattern by virtue of their matrix structure and this fixed form has the effect of re-tuning energy that passes through and around the crystal. Due to this, the basic energy pattern, or vibration, a crystal will emit is set according to its matrix structure. The unchanging structure of a crystal determines the frequency of energy it emits. The Meanings guide below for crystals and stones features Voltlin images who produce exquisite crystal and stone bracelets for energetic healing. If you would like to see detailed information on each crystal, you can click on an image which will take you to the crystal information post. 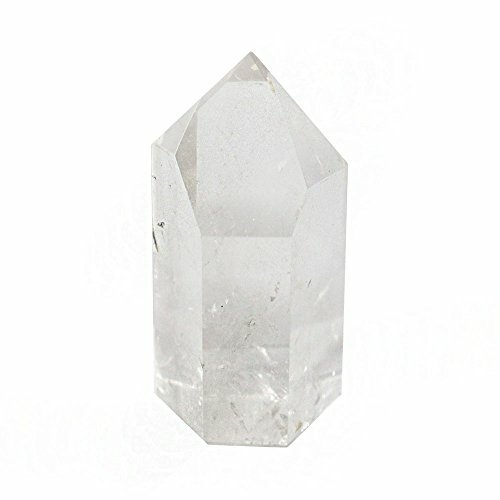 Click through to Tourmalinated Quartz detailed information. Click through to Amethyst detailed information. Click through to Carnelian detailed information. Click through to Green Aventurine detailed information. Click through to Hematite detailed information. Click through to Labradorite detailed information. Click through to Lapis Lazuli detailed information. Click through to Malachite detailed information. Click through to Onyx detailed information. Click through to Pyrite detailed information. Click through to Quartz detailed information. Click through to Red Jasper detailed information. Click through to Rose Quartz detailed information. Click through to Sodalite detailed information. Click through to Tigers Eye detailed information. Quartz is the low-temperature stable form of silicon dioxide or silica. Silicon and oxygen are the two most common elements in the Earth’s crust. Quartz crystal is one of the most common minerals found on the face of the Earth. Tetrahedrons are 4-sided closed geometric figures composed of equilateral triangles. They can be visualized as three-sided pyramid shapes on a base of equal area. Crystals can be used to tune into vibrational patterns and can also be used to change the vibrational pattern of energy that interacts with them in the immediate area. Crystal can increase or tune the frequency or vibration of energy that move through them and this, in turn, can affect us and our surroundings for the better as our own energy field is changed or re-tuned in this interaction. Our sense of well-being and mental balance can be brought into better alignment by carefully selecting the crystals and stones in our surroundings or the crystals and stones we choose to wear on us as jewelry or carried. I never fail to be astonished at the very clear change of energy when walking into a dedicated meditation room with carefully selected crystals and stones in abundance. Our sense of well-being and mental balance can be brought into better alignment by carefully selecting the crystals and stones in our surroundings or the crystals and stones we choose to wear on us as jewelry or carried. I never fail to be astonished at the very clear change of energy when walking into a dedicated meditation room with carefully selected crystals and stones in abundance. In the specific matrix pattern of atoms, crystals carry their own unique vibrational frequencies. We also have an energy field around us and our field is very sensitive to changes in the environment as well as the effects of our own thoughts, and feelings. Crystals can change the frequency of subtle energy within the surrounding area which in turn affects our energy field. In a close proximity to crystals, you are actually interacting with crystals energetically. This interaction then causes changes to your energy balance and in turn influences how you feel mentally and physically as your energetic system is subtly affected. In a close proximity to crystals, you are actually interacting with crystals energetically. This interaction then causes changes to your energy balance and in turn influences how you feel mentally and physically as your energetic system is subtly affected. Crystals are useful tools in maintaining a balanced and a higher energetic state in partnership with spiritual practices, good food, and exercise. Crystals serve to boost the positive effect of the other things you do and can help to keep you in balance at times of stress. For thousands of years, crystals and gemstones have been used as powerful energetic tools for healing in partnership with other energetic practices and healing systems. Crystals can channel power and it is no coincidence that the crown jewels and symbols of power carried by monarchs are studded with crystals and gems. These gems were not solely chosen for their value and beauty but were also incorporated consciously for the properties of power inherent in them. Crystals have been utilized in different ages and cultures by shamanic healers for their energetic power. Shamanic healers from all cultures have knowingly used them to release or balance mental, physical and spiritual blockages in the energy system of the body and have used them in conjunction with ritual and plant medicines. We are naturally receptive to the vibrational patterns of energy emitted by crystals as they subtly, amplify, or adjust the energy both in the immediate surroundings and our own energy system in turn. Metaphysical and healing Meanings for Crystal and Stones, as tools for healing and changing consciousness, can be traced back to ancient times. A guide to meanings for crystals and stones. Thanks for the message and the request. I don’t have a subscription service for this site but I am contemplating an e-book down the track as a guide on how orgone pyramids work and how an orgone pyramid should be made correctly for it to work properly. Look out for that in the new 3 to 6 months for its release. Cheers!